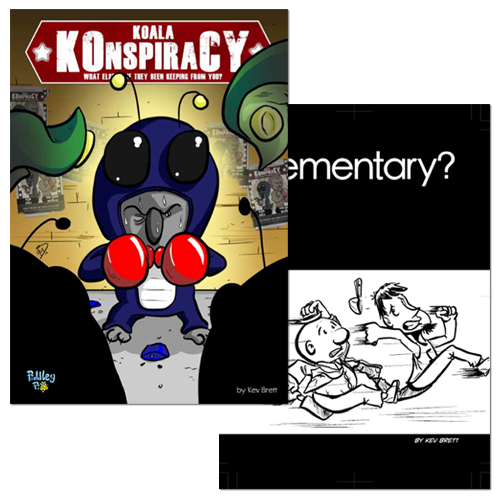 Home › Books › Koala Konspiracy – Elementary? 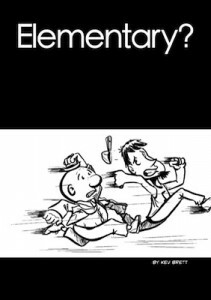 Pick up Koala Konspiracy and get Elementary? ABSOLUTELY FREE!!! 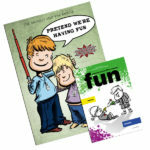 A brand new perfect bound, FULL COLOUR, 52 page, all ages comic. 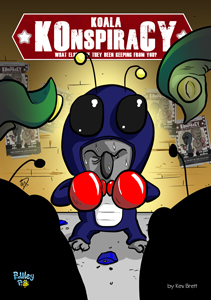 Full of fun, adventure, aliens and boxing. Super sleuths Sherman P Jones and Philip Von Stenklehoff discover that an ancient artefact, the Sacred Key of the great Mastok, has been stolen! But who stole it? And why? 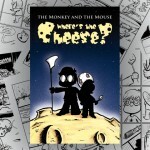 From the creator of The Monkey and the Mouse comes a new all ages 24 page black and white comic.